Chamber Made is dedicated to creating original works located at the nexus of music and performance. Since it was founded in 1988, it has commissioned over 40 new Australian works, presented over 90 performance seasons in Australia, NZ, Asia, Europe, USA and South America, and accrued extensive experience working on international tours, co-productions and residencies, the company is renowned for redefining boundaries and producing works that emerge from a deep collaborative dialogue across artform disciplines. Bringing contemporary composition and performance dramaturgy together in ever-shifting forms, their works have been presented in theatres, recital halls, lounge-rooms, galleries, as well as on iPads and online. Whether through live performance, installation or screen-based contexts Chamber Made produce intimate works that grapple with the complexities of our time. 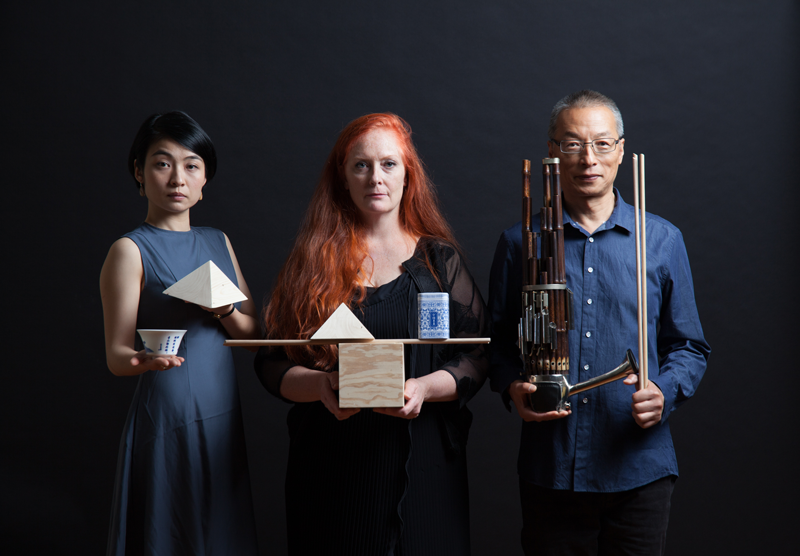 Main image: Chamber Made artists Ching Ching Ho, Carolyn Connors and Wang Zheng-Ting. Photo by Pier Carthew.